Er dette en driver for deg? 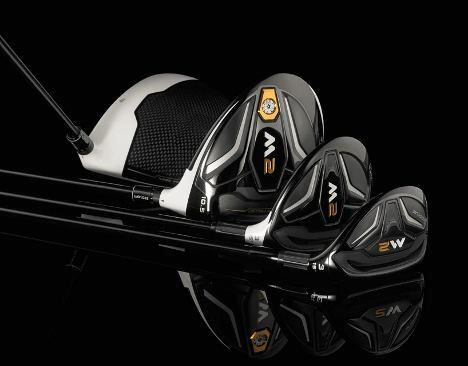 TaylorMade kommer med M2 serien sin som omfatter nye jern og nye metal woods. Her er driveren og dens nære slektninger som ligger mellom driver og jernkøller. TaylorMade har hatt stor suksess med sine køller i mange år. Utviklingen går sin gang. Stadig nye modeller og ny teknologi ser dagens lys. Her finner du info om M2 driver, M2 fairway og M2 hybrid. Du finner også nnår køllene kommer på markedet samt prisene på køllene. 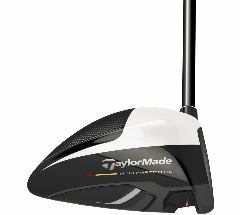 Following the remarkable success of M1, TaylorMade Golf, makers of the No. 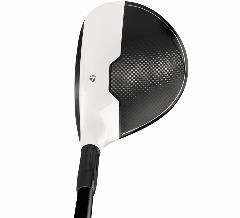 1 Driver in Golf, today unveiled M2 drivers, fairways and Rescue clubs to complete the M family. In M2, engineers have utilised the same proprietary multi-material combination, including the seven-layer carbon composite crown found in the M1, to develop a line of products that deliver two highly sought-after performance benefits: distance and forgiveness. Similar to M1, the M2 product line meets the challenge of delivering more performance to players of all skill levels with the utilisation of multi-material construction (driver and fairway). From the outset, the key product deliverable for the M2 line has been to deliver maximum forgiveness without sacrificing distance. 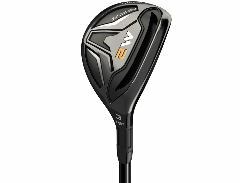 TaylorMade has achieved this by leveraging the weight savings from the carbon crown and redistributing the discretionary weight to the sole of the club, resulting in a low and slightly farther back centre of gravity. This ultimately gives many golfers what they want: distance and forgiveness, without compromise. The result is a family of clubs that deliver hot trajectories with massive sweet spots and maximum forgiveness. Similar to the composition of M1, the use of TaylorMade’s carbon composite crown design in the M2 driver has resulted in a significant decrease in overall crown weight and with that, engineers have been able to lower the CG considerably. The total weight savings of 5g creates a dream scenario for engineers, giving them enough discretionary weight savings to generate a remarkably hot trajectory with maximised forgiveness. Whereas the savings in weight in the M1 was used to develop the company’s revolutionary T-Track System, the combination of the carbon crown with titanium casting technology in the M2 driver has enabled engineers to move the CG into a position of simultaneous speed and forgiveness. With forgiveness a priority in M2, TaylorMade engineers focused on three key performance features that deliver ball speed protection on shots struck away from centre-face: inverted cone technology (ICT), a redesigned Speed Pocket; and increased moment of inertia (MOI). The M2 driver utilises inverted cone technology (ICT) to increase the size of the high-COR area of the clubface. ICT benefits from a thinner clubface, which would be above the legal limit for COR at the centre if it were uniform thickness. However, the inverted cone feature is then added to the centre of the clubface to bring that section back down to the legal range, while the higher COR remains out on the heel and toe areas of the face. M2 also features a redesigned Speed Pocket. It allows for greater face flexion than with a traditional, more rigid connection. More flexibility means greater energy transfer at impact made low on the face and thus, more protection of ball speed. Lastly, the centre of gravity in the M2 driver has been positioned low and slightly further back in the clubhead. In M2, the moments of inertia (MOI) are among the highest of any club we’ve ever produced. The increased MOI resists twisting at impact, resulting in longer and straighter shots when struck off-centre. Like M1, the M2 driver head is designed with a classic club head shape and fast, aggressive aesthetics where the black carbon meets the white titanium. The design suits the eye of better players from address but delivers performance for all, with maximised aerodynamics, face area, and a low centre of gravity. The structural changes in the design of the club head include a lowered front face area that still has the traditional rounded face shape from address, as well as a raised front crown and sloping rear crown section to maximise low CG without compromising the aerodynamic benefits. The 12 position loft sleeve of the M2 driver provides up to four degrees of loft adjustment. In addition to the stock Fujikura Pro shaft, TaylorMade will offer 23 additional premium custom shaft options at no upcharge. Available on February 19 at £329 / €449 / 3,99SEK / 3,999NOK / 2,999DKK / 449CHF , the M2 driver is available in 9.5°, 10.5° & 12° loft options in both right and left hand models. Similar to the M2 driver, the multi-material carbon crown on the M2 fairway has created 5g of discretionary weight savings, allowing for an extremely low CG. The shallow head design delivers versatile playability from the tee and fairway. A new, fluted hosel design provides superior sound and feel without compromising distance. In all, the M2 fairway is engineered for dominant performance in every detail of the club, delivering exceptional distance and superior look and feel. In 2012, TaylorMade redefined the metalwood category and changed the state of the industry with the introduction of RocketBallz and the creation of the first ever Speed Pocket. Since then, company engineers have been relentlessly working toward creating a longer, faster and more forgiving product, taking everything learned from the success of the best-selling fairway model in company history and improving on it to design and engineer a product demonstrably better in every way. A new, completely redesigned Speed Pocket significantly increases the flexibility of the low club face area; the most flexible Speed Pocket the company has ever designed. The increase in low face flexibility translates into a higher COR, which results in higher ball speed for shots struck low on the face. This is primarily achieved by creating more flexibility in the Speed Pocket. Available on February 19 at £199 / €279 / 2,499SEK / 2,499NOK / 1,999DKK / 309CHF, the M2 fairway is offered in five lofts – 15˚, 16.5˚, 18˚ (RH & LH) and 21˚ & 24˚ (RH only), equipped with a TaylorMade Reax 65 (S, X), 55 (R, M), or 45 (L). Born from TaylorMade’s fairway wood DNA, the M2 Rescue is designed to deliver effortless launch and maximum distance from anywhere on the course. The redesigned open channel Speed Pocket creates a large sweet spot for maximised distance and forgiveness with low spin, and the low centre of gravity delivers a hot trajectory for longer, more consistent shots. Aesthetically, the low profile shaping more closely mirrors the shaping of a fairway wood, leading to a more confidence-inspiring, easy to hit product. Also available on February 19 at £159 / €229 / 1,999SEK / 1,999NOK / 1,599DKK / 259CHF, M2 Rescue is offered in four lofts: 19°, 22°, (RH & LH) 25° & 28° (RH only) is equipped with a TaylorMade Reax 75 (S), 65 (R), 55 (M), or 45 (L) shaft. The M2 line utilises our new advanced multi-material construction to break yet another performance barrier, delivering once again the hot trajectory that TaylorMade is known for while at the same time providing game-changing forgiveness. With the entire M2 line of product, we’re delivering golfers what they want and need; distance, trajectory and forgiveness.